Color additives make up the true color lost from light, air or temperature exposure, as well as add value.1 Like artificial colors made synthetically, natural colors play a key role in making products attractive and appealing to the public. While they do not offer as bright of colors or reliable results as synthetic colors, they are gaining in popularity as consumers shop for more natural and organic products. Natural dyes have been used to color food for thousands of years. Minerals and various plants have been the source of added color since 300 BC. Paprika, turmeric, saffron, wine, iron and lead oxides and copper sulfate are a few natural coloring agents that are traced back to ancient civilizations. The FDA was awarded oversight over food color additives in 1927, and over the years has defined what dyes were or were not safe for consumption. Synthetic food colors make up a majority of all coloring agents used today. 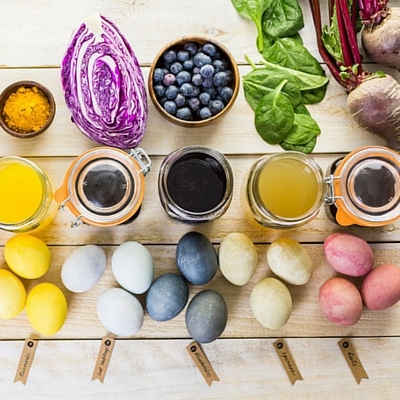 However, in recent years a demand for more clean-label products and concern over negative behavior affects from artificial dyes has created a market for natural color additives. Natural color additives mainly come from a variety of plants or minerals. For consistently reproducing the coloring and product results from these additives, natural colors are sold in a highly purified form. There is no GRAS exemption for color additives under the FDA. All color additives must undergo an FDA certification process, except natural colors. These are labeled “exempt colors” and must come from natural sources, mostly plants or minerals. Click here for a full list of FDA recognized exempt color additives for food. Griffiths, James C. “Coloring Foods and Beverages.” Food Technology 59.5 (2005): n. pag. Branen, Alfred Larry, P. Michael Davidson, and Seppo Salminen. Food Additives. New York: M. Dekker, 1990. Batista, Ana Paula, Anabela Raymundo, Isabel Sousa, José Empis, and José Maria Franco. “Colored Food Emulsions—Implications of Pigment Addition on the Rheological Behavior and Microstructure.” Food Biophysics 1.4 (2006): 216-27. Lucas, Christine D., John B. Hallagan, and Steve L. Taylor. “The Role of Natural Color Additives in Food Allergy.” Advances in Food and Nutrition Research (2001): 195-216.